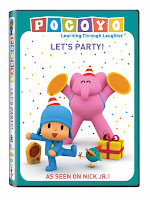 It's Party Time With Pocoyo! 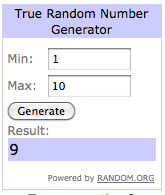 Win a "Let's Party" DVD! Additionally, you can find fun Pocoyo party activity pages for FREE at entertainmentthateducates.com, including party coasters, party invitations and party hats! You can even Pocoyize yourself. I created this avatar online but using the Spanish version. I couldn't figure out how to change it to the English version. It's a good thing I studied Spanish. So how do I look? “Let’s Party” is available at major retailers and online. SRP $12.99 (ages 2+). The 90-minute DVD has 12 Pocoyo episodes (and Spanish track) including Who's on the Phone, Whale's Birthday, Pocoyo's Puppet Show, Party Pooper, Everybody's Present and more. This contest is now closed. Scroll down to the end of this post to find out who won. Like the Pocoyo fan page on Facebook. Like Toronto Teacher Mom on Facebook. Follow Toronto Teacher Mom via Google Friend Connect. Subscribe to Toronto Teacher Mom by email or in a reader. Follow Three.Sixty Marketing on Twitter to learn the latest on Pocoyo. Contest ends June 8 at 10pm EST and is open to U.S. residents only. Winner will be selected using Random.org and must reply to the notification email within 48 hours or a new winner will be drawn.